Oh come on, didn't you listen to Nancy yesterday. 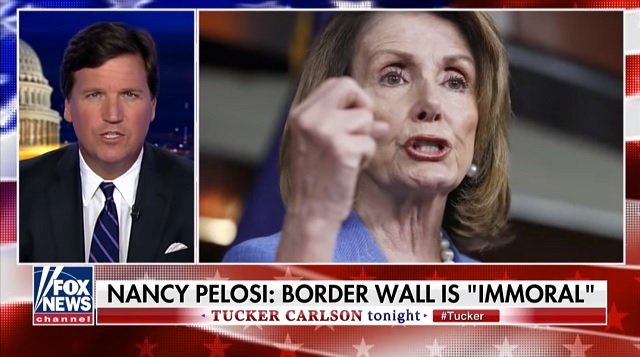 She said a wall is "immoral". These felons should be allowed to walk freely in this country. 20,000 is like a city of gang members and felons. It's crazy that Democrats are shutting down the government over border security. Rep/Cons won't do anything about millions of illegals roaming Americas' streets. Illegals are a good escape for Republicans that are shaking in their boots from fear of Mueller. The latest current propaganda phrase is "Immigrant/Migrant Families"
You ASSHOLES! are against FAMILIES! You mean ol' BRUTES! Move them all to the Bay Area tp live with Nancy and Feinstein and blow the bridges. One way in, one way out. Similar to Escape from NY.